A word about the future. One of the most interesting things to come from the past few years of working with Lucky Frame is the idea of “success”. I have lost count of the number of times people have mentioned to me what they perceive as our success – you are clearly successful, they would say, you have awards and great critical reception and people talk about your games all of the time! It naturally follows that they think we are sitting on a pile of money and don’t know what to do with it. Somehow, since the release of Bad Hotel in particular, this idea of our success became so engrained that I have had innumerable surreal conversations where it took me a certain amount of time to ascertain that they were in fact looking for employment, money, or some sort of partnership that they clearly thought Lucky Frame could afford. However, on a certain level I must agree that Lucky Frame is successful, though perhaps on a scale of success that can not be measured by money. For three years we outsold the average game releases on the market, which was enough to sustain us and allow us to make the games we wanted to make. Some of those games sold well (Bad Hotel is owned by around 100,000 people) some of them sold very little (Nightmare Cooperative has sold around 7,000 copies across all platforms). One day perhaps I’ll go into all of the possible reasons for this, as well as the different implications these kinds of sales numbers can have. What is important is that with very few exceptions, for three years we were uncompromising about the games we wanted to make, we made them as well as we possibly could, and we marketed them to the best of our ability. While we didn’t make very much money, I think anyone who has worked in any creative field will agree that making enough to cover your costs and continue creating is a massive success. We certainly felt that way. And now, we’ve decided to move on. Lucky Frame is no longer working on any games, and won’t be releasing anything in the foreseeable future. This was a very hard decision to take. I am enormously proud of the games (and other projects) we made. I believe that they were fun, original, and they explored some new ideas. We got amazing feedback on everything we made, positive and negative, which helped us grow creatively and learn from our mistakes and our triumphs. We developed a community of followers and fellow creators who motivated and challenged us, and our work evolved accordingly. 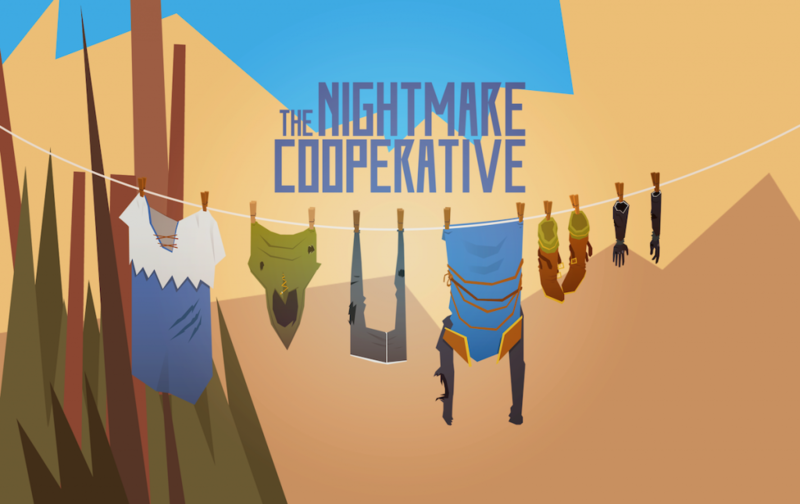 Our last commercial release, The Nightmare Cooperative, is almost certainly our best game, albeit our lowest-selling. Certainly, the fact that it did not sell well was a major factor in this change. 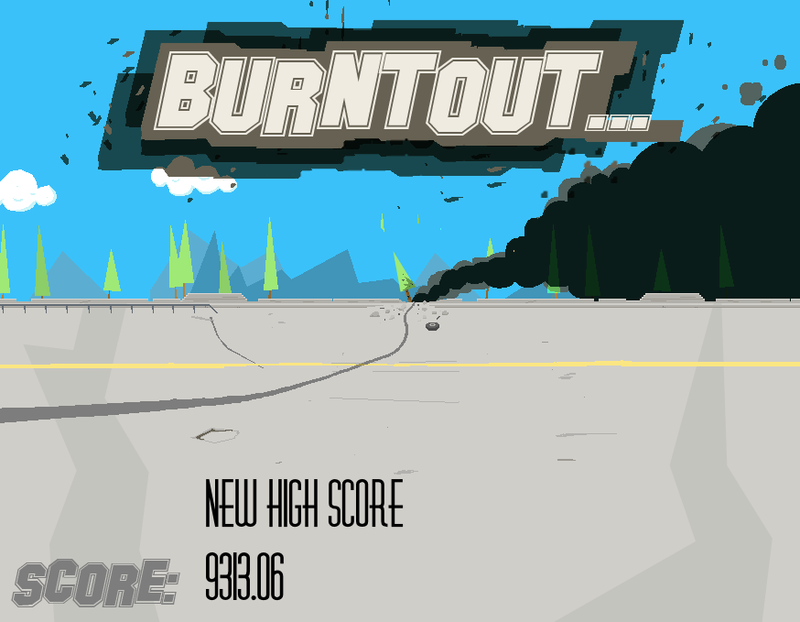 We could probably have scraped by and figured out a way to make another game, but the time was right to move on. It had become increasingly clear to me personally that I did not have the burning desire to sell games. My primary concern has always been to make creatively interesting work. It’s no surprise, then, that our Tacos, Bluegrass, & Videogames event, or even Roflpillar in particular, was arguably more successful than our last few commercial releases. I have never been interested in growing Lucky Frame – for me the studio was entirely about creative output, and as such I devoted far more time making things than trying to sell them. Money is only a small part of the picture, however. If anything, a lack of money is usually a good way of showing where priorities lie. I can’t speak for the others, but certainly in my case my own projects have started to take up more and more time over the past year. I was unfortunately starting to find that both my own work and my Lucky Frame work was starting to suffer in my attempts to do both all of the time. Our games will continue to be available for purchase (buy buy buy! ), and Lucky Frame as an entity is not getting dissolved or anything. However, Sean has moved on to work with Blazing Griffin in Edinburgh, and Jonathan has moved back to the USA to freelance (hire him!). It is highly likely that we will collaborate on future projects, with or without the ‘Lucky Frame’ moniker. I will be concentrating on my music and sound projects in Edinburgh (hire me!). We have also reached an agreement with Blazing Griffin for them to continue to market The Nightmare Cooperative and Gentlemen!, so you should hopefully see them a bit more from here on out. It is no accident that I mention Tacos, Bluegrass, & Videogames. I am in the early stages of doing some planning around developing the work we did early this year with that event into a regular programme. If all goes well, I am thinking about transitioning Lucky Frame into a studio that focuses entirely on experimental game events and workshops. I’m not entirely sure yet if it is something that I want to do, or if it’s worth the effort, but it seems promising. If you would like to be involved in this somehow, please let me know. As I’ve discussed this change with various friends, they often express regret and sadness. I would like to stress that this is not a tragedy, or even a failure. Though we did not make a lot of money, we definitely did what we set out to do. Lucky Frame absolutely fulfilled my vision of success, in fact in many ways it surpassed it beyond my wildest dreams. I am unbelievably lucky to have been able to work with Jonathan and Sean, and less directly with dozens of others, to bring our strange and wonderful ideas to life. I am fully aware that there are thousands of people who would give anything to have the opportunity to do what we did. Now, having achieved everything we achieved, I am incredibly excited and motivated to start work on the projects I have ahead of me. We leave Lucky Frame with half a dozen critically acclaimed games under our belts, we have travelled the world and met amazing people, shown our work in California, Seattle, Nottingham, Dundee, London, Stuttgart, Berlin, and more. We spoke our minds, refused to make violent or sexist games, we avoided exploitative design models and we paid all our bills on time. 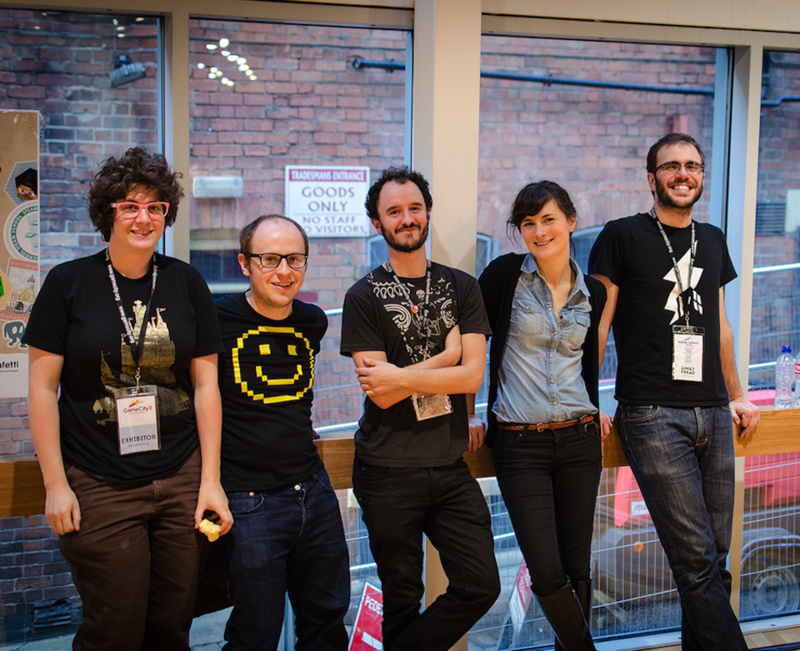 We won a BAFTA, we were nominated for two IGF Awards, and most importantly for three years we made our own games and released them to the world. I would call that success. Thanks to everyone who helped us along this far, you are far too many to name. Let’s all go ahead and keep on making awesome things. As the title suggests, we are very pleased to say that The Nightmare Cooperative, previously available only on PC, will be released on the iTunes Store for iPhone and iPad this Thursday 28 August. Please spread the word, and watch our ridiculous announcement video. If you’re from the press and you’d like an advance copy, you can visit our Distribute page, and as usual there is a Presskit with all sorts of information and screenshots. 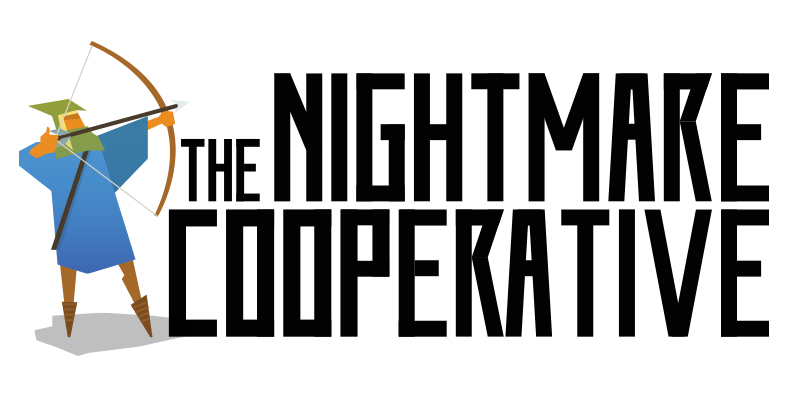 The Nightmare Cooperative is our new game. 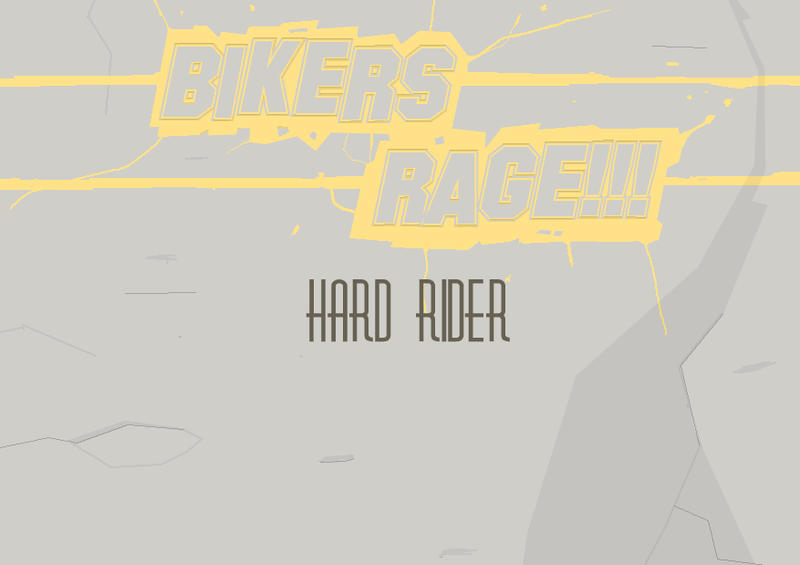 We will be releasing it on July 16th for PC/Mac/Linux on Steam, followed by other platforms. It’s a strategic adventure where you lead a group of unlikely comrades through some rather difficult situations. Your village has fallen on hard times (due to some rather reckless spending by the Village Council) and it’s up to you to bring back some gold. You can see more on The Nightmare Cooperative website. Please, let us know if you’re from the press and you’d like more information, check out the Presskit and drop us an email at info@luckyframe.co.uk. If you’re a YouTuber and you’d like to monetize gameplay videos, simply use our permission generator. 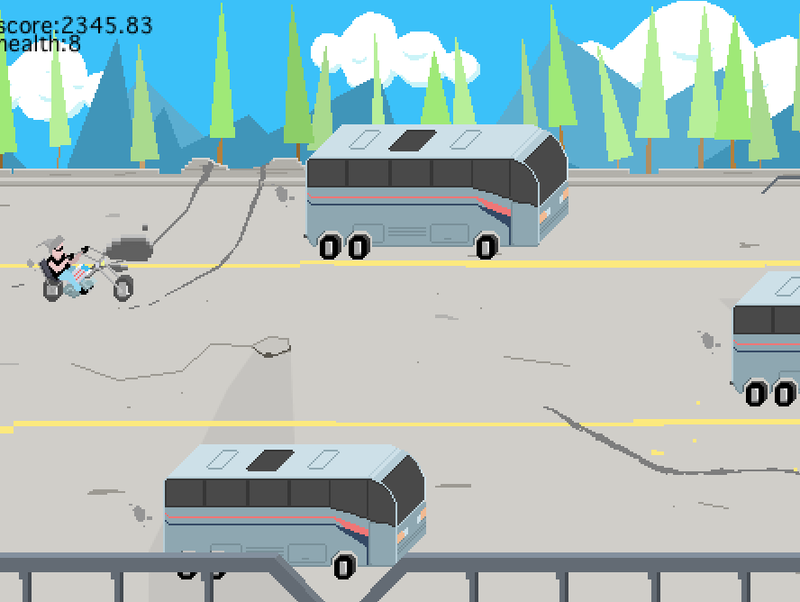 We have a new game, but for some reason we haven’t been talking much about it publicly yet. That’s all going to change, starting now. Say hello to The Nightmare Cooperative. If you’re from the press, or if you’d like to get on the beta test list, please drop us a line at info@luckyframe.co.uk. 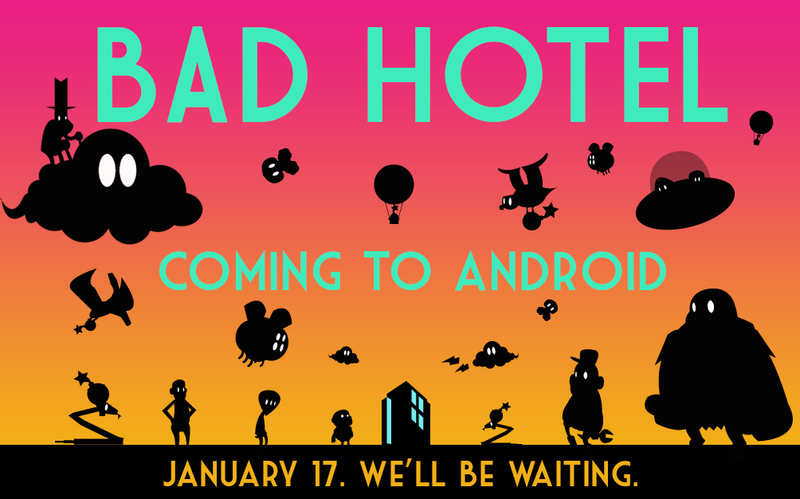 We are very pleased to announce that Bad Hotel will be released for Android, on Google Play, this Friday January 17th. This follows up from being included in the last 2013 Humble Bundle, which was super amazing. 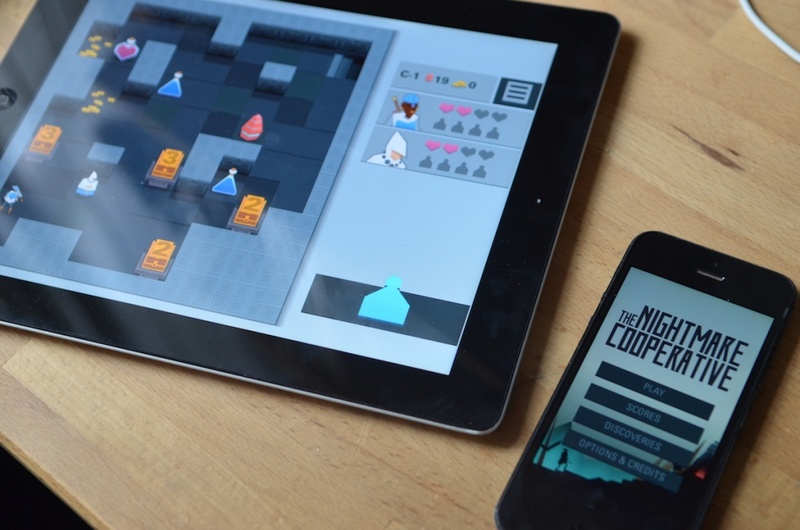 The more eagle-eyed amongst you will have noticed that the Android version was included in the bundle, and you can even buy the Android version alongside the PC and Mac versions from the widget on the Bad Hotel site right now. However, for the very first time Bad Hotel will be on an actual Android store this Friday morning European time. If you’d like a review copy, please get in touch by writing us at info@luckyframe.co.uk. TBVG: How did it go? Tacos, Bluegrass, & Videogames took place on January 11th 2014. We billed it as “The best things in the world, all at once, with beer”, and it was sponsored by the fine folks at Codeplay. We also got delicious beer from Brewdog, which was great! 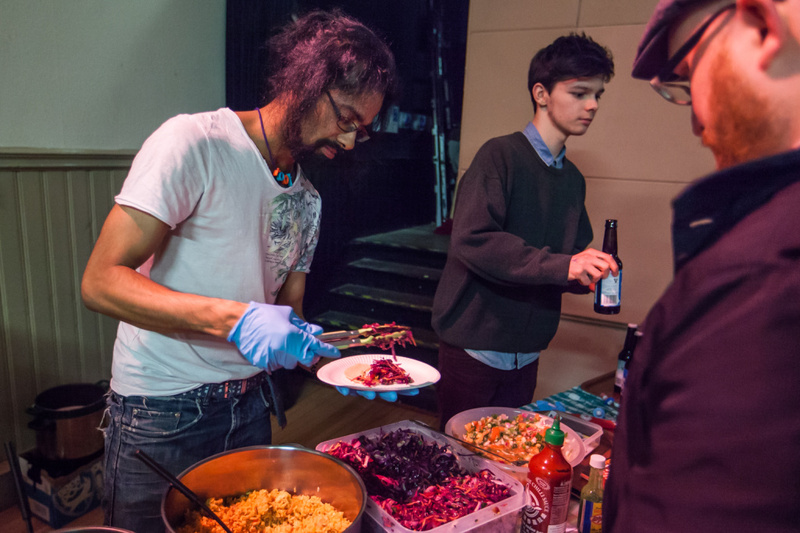 We wanted to produce and host an event devoted to accessible, fun, and unusual games, together with good food and good music. We wanted to make anyone feel welcome, and we wanted to show games that weren’t violent, scary, creepy, or sexist. And of course, we wanted to eat tacos and listen to bluegrass. It turns out, we weren’t alone. We sold out our first run of tickets in around 40 hours. We released more tickets and sold all of them really quickly too. We had a huge waiting list, and we had to turn people away at the door! 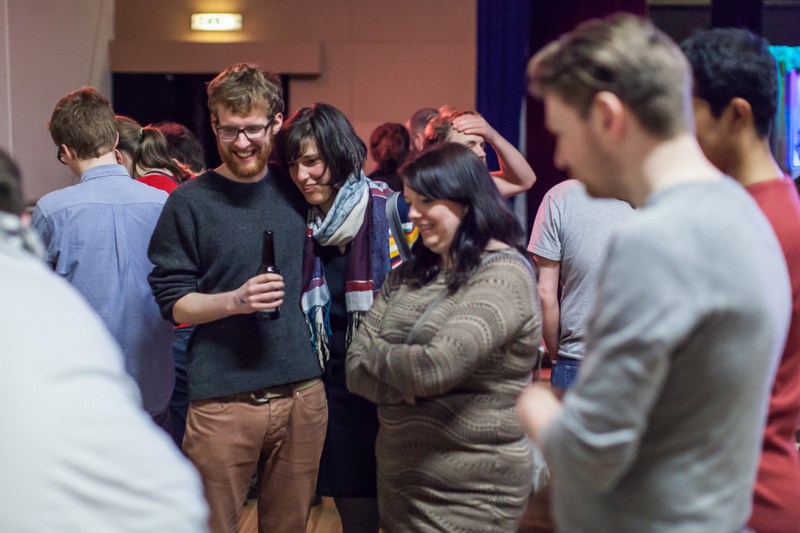 The night took place at Pilrig Church in Leith, right around the corner from Lucky Frame headquarters. The place was packed, the food was delicious, the tunes were toe-tapping, and the games were awesome. We were completely blown away by the response – we had so much help from dozens of amazing volunteers, starting several hours before we opened the doors, and the goodwill and good vibes continued throughout the night. We showed quite a wide range of games – an abstract 2v2 sports game, a game where you had to punch bowls of custard (yes, real actual custard), a game where you had to wear a caterpillar costume and roll around on the floor…for most of the games we built brand-new custom interfaces, like a super-minimalist arcade cabinet, a videogame embedded into a coffee table, or a mysterious post-apocalyptic camping tent. The tacos were handmade by Morgan and her team of helpers (special thanks to Roof, Craig, and Hal), and they were a hit. They were proper flat-style corn flour tacos with beans, rice, and vegetables. Yum. 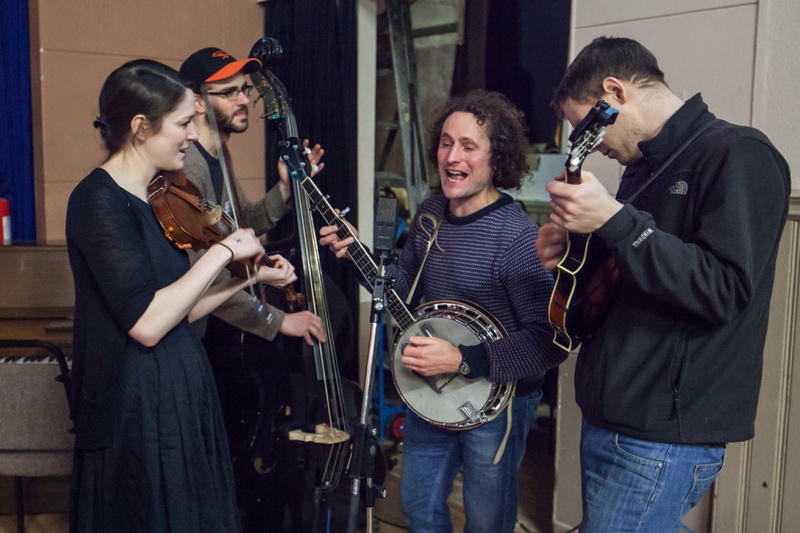 The wonderful old-timey acoustic music was provided by Jed Milroy together with Carrie and Adam Bulley. A 2v2 abstract sports game by Michael Brough. We built a custom Smesport Stadium, painted by Fraser Gray, featuring physically moving miniature spectators! By Magdev – a hilariously bonkers taco-based first person escape adventure. We built a custom arcade cabinet out of wood from our local lumberyard. Beautiful atmospheric abstract first person exploring game by Titouan Millet. 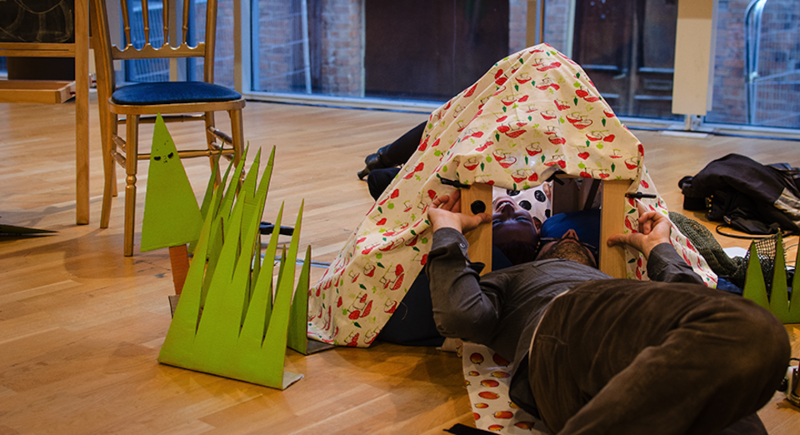 We built this into the Taquito Tower, making a little cinema onstage for people to play. This didn’t come out too well in photos but looked lovely. A brilliant collage that felt like a really powerful piece of interactive video art, by Jack King-Spooner. 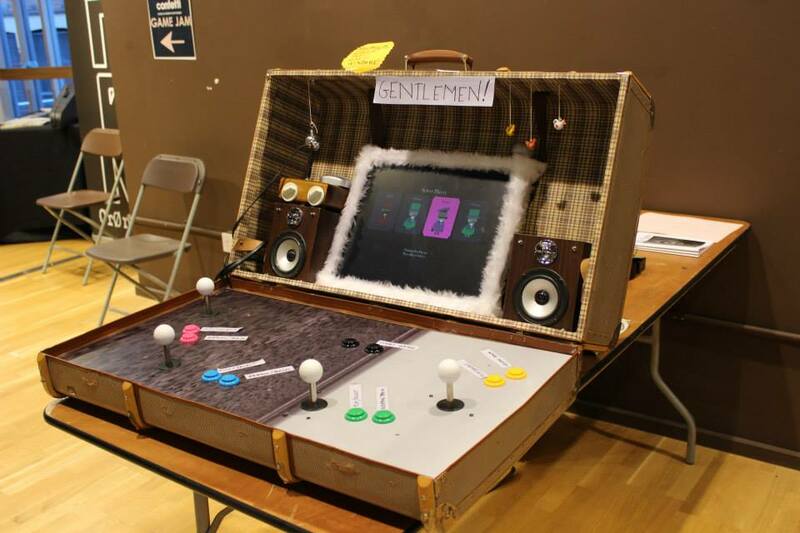 We presented this in a camping tent, and Jack created a really wonderful atmosphere for people to experience his game. Did you pick up the phone? A real crowd pleaser by One Life Remains. A very simple but crazily frantic four player game which slowly got destroyed over the course of the night (which was part of the point…). @Beyongolia: “So so good! Thanks @lucky_frame. What a talented bunch. More of that please! A very special thank you to all of the people who came early and helped set up, or stayed late and helped clean up, and of course all of the people who helped throughout the night. We absolutely could not have done it without you – we were completely astonished by everyone’s willingness to pitch in, carry stuff, push gigantic carts of equipment, clean up custard, serve tacos, man the door, and everything in between. HUGS. Probably the most-asked question of the night was “Is this happening again? !”, and the answer is: we really want to do it again. It took a lot of work to put this together, but it was hugely enjoyable, exciting, and rewarding, and we are so proud of it. At the moment we are eyeing early June as a potential time, and we are as yet undecided as to whether we will keep the formula exactly the same or change it up a bit. This will require a lot of organisation, and of course money. We have a few different ideas for how to approach both of those things, but we will need your help. If you were there on Saturday, please spread the word. Send us an email at info@luckyframe.co.uk with any feedback, positive or negative. If you would like to be involved in making the next phase of TBVG happen, please let us know. We will need money, games, venues, materials, and more. Also, send us any pictures and videos you took, or if something crazy/funny/silly/unexpected happened, we’d love to hear your stories. 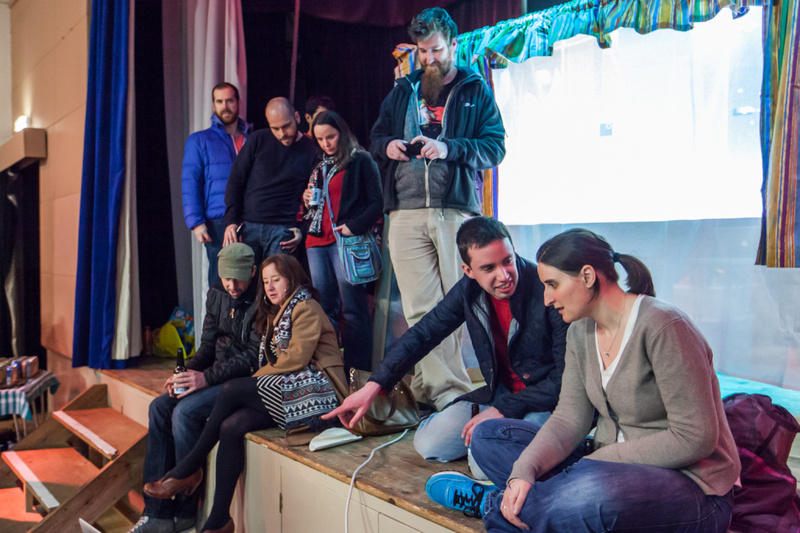 If you weren’t there, tell us what you would like to see, or where you are so we can work out where to go next. Seriously. We had an amazing time, and we hope you did too. Let’s do more of this. See you at the next one. 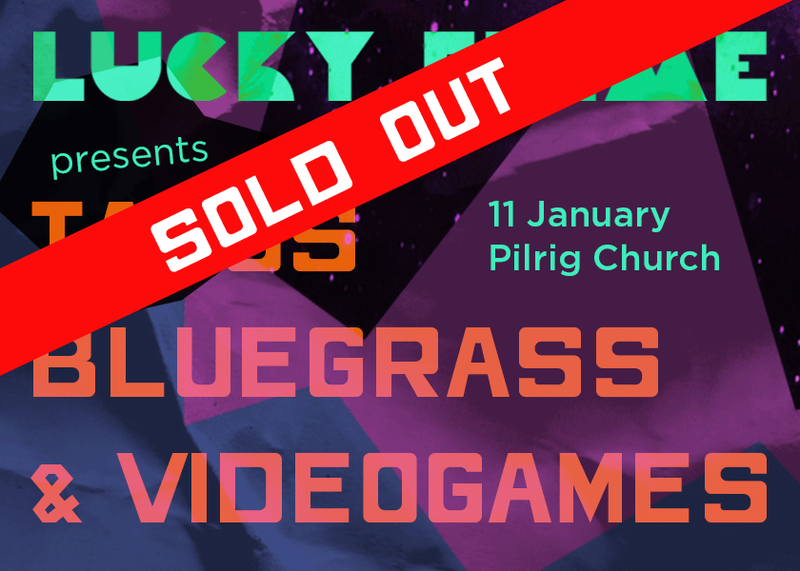 You may have already heard that we are putting on our very first event on January 11th: Tacos, Bluegrass, & Videogames. It will feature all three of those things, plus beer from Brewdog. 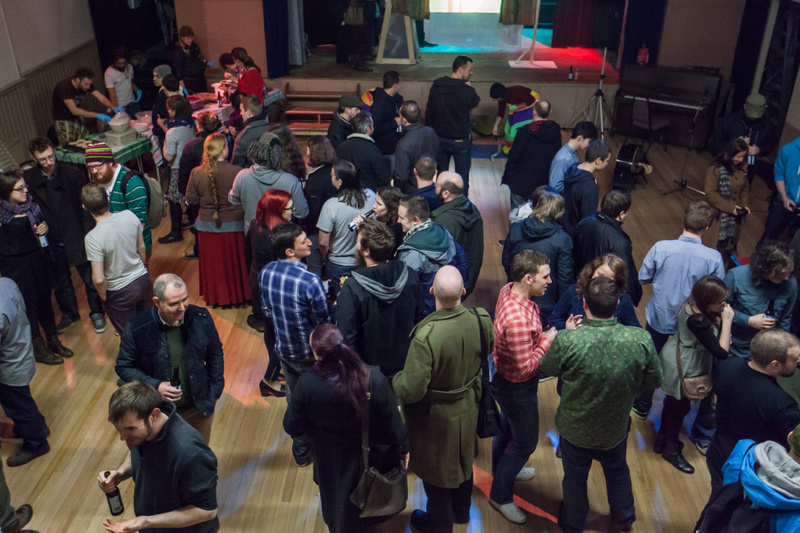 For £5 you’ll get tacos, beer, music, and awesome videogames. A pretty good deal, if I may say so myself. It is being produced with support from the fine folks at Codeplay. Putting together an event like this has been in the back of our minds for a while. 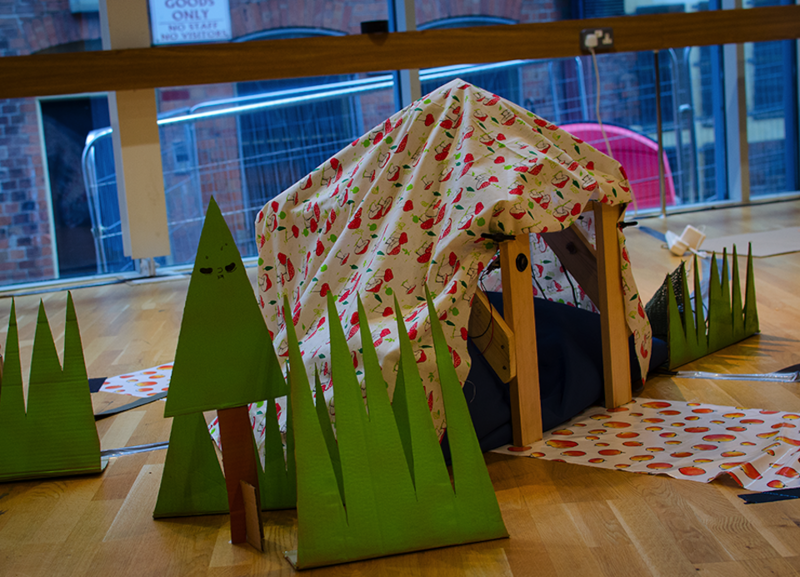 We really admire what people like Game City, Bit of Alright, and Wild Rumpus are doing – putting videogames into unusual, fun, and exciting settings, encouraging innovation in game design whilst also making videogaming a bit more mainstream and socially acceptable. We feel that there is space to do something like that up here in Scotland. Since Lucky Frame has a fairly strong American heritage, it only made sense to throw in a few elements from the motherland. Tacos are delicious, and folk music is designed to be accessible and fun – they seemed to us like the perfect combo (though we did consider Milkshakes, Hiphop, & Videogames). When I wrote up a plan for getting the word out about this event, this blog post was designed to contribute to the push towards selling tickets. Quite amazingly, this has turned out to be unnecessary – we put the tickets up for sale on Monday and they all sold out in less than 48 hours, just from a few posts on Twitter. Social media wins! Thanks to everyone who bought tickets – we are really excited by the support and we can’t wait to make this happen. Clearly, we are not the only ones who are hankering for some tacos and bluegrass to go with their videogames. The number of tickets is somewhat limited because of the capacity of the venue, so we apologise to anyone who has missed out. We may be able to release a few more, but we would also encourage people to come by on the night. If there is any room we will definitely let you in, and if you can’t get in we’ll point you to a nearby pub. 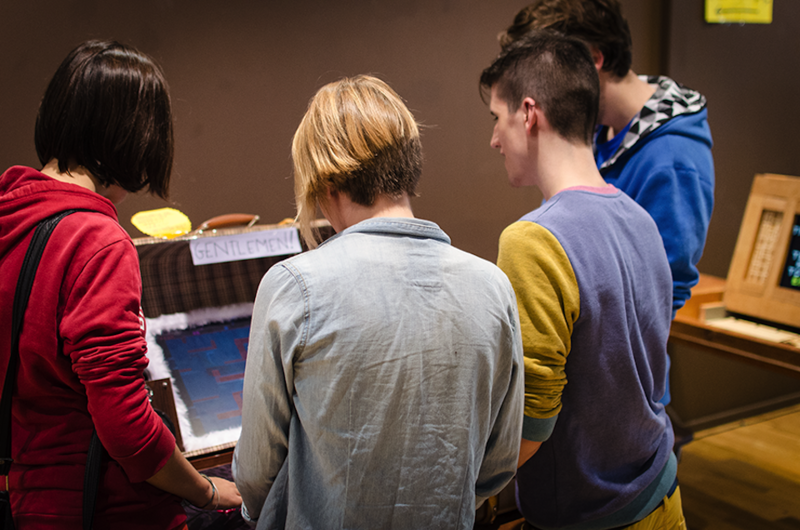 We are still looking for a few more games to include on the night – if you are an indie developer sitting on an amazing game that would work well in a relaxed party setting, please send it along! We’d love to show it. If you’re not sure that your game will be a good match, just get in touch and we can talk it over. So, while this post no longer needs to perform the “buy tickets” function I had originally planned, it still has one important role: LAST CALL FOR SPONSORS. We want to print up posters for the event very soon, so if you want to get your name or logo on that poster, now is the time to act. Get in touch by Monday to be a part of TBVG – send us an email at info@luckyframe.co.uk. We’d love to have you on board. More details will be announced soon, see you on January 11th. We’re planning on doing more with both of these projects, so keep an eye out. Many many thanks to the Game City team for having us along, especially Iain, David, and Chloe, and to all of the amazing volunteers who helped us out (Charlotte, you’re a legend). Good work team! We are very pleased to launch Bad Hotel on Steam today at 5pm UK time. Go buy it on the Steam Store! The Steam version is for Windows and Mac. For $5 you can get the critically acclaimed tower defense music game for your glorious big wide screen. If you would prefer to buy it outwith Steam, you can buy it using the Humble Widget from the Bad Hotel website. As an extra little bonus, today we are also releasing an update to the iPhone version which adds iPhone 5 screen resolution support. Because, you know, those phones have been around for like a year now and I guess they’re not going anywhere. Go update or buy the new version!